Actor, born in Ottawa, Canada. He studied at Carleton University, Ottawa, joined the Second City Comedy improvisation group in Toronto, made a name for himself as a stand-up comedian, then joined the cast of the anarchic television show Saturday Night Live (1975�9). 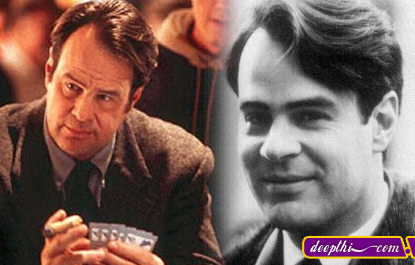 He wrote the screenplay for and starred in The Blues Brothers (1980), appeared in Ghostbusters (1984), and earned a Best Supporting Actor Oscar nomination for his first dramatic role in Driving Miss Daisy (1989). Later films include Exit to Eden (1994), Feeling Minnesota (1996), Grosse Pointe Blank (1997), Antz (voice, 1999), and Bright Young Things (2003). His albums include Briefcase Full of Blues, Made in America, The Blues Brothers, and Best of the Blues Brothers.